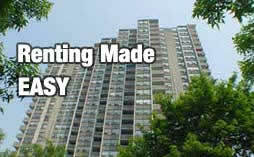 :: Advertise Effectively :: Landlord rental services! Take advantage of the number of features Renters Hotline has to offer you! Advertise more effectively. There's no need to spend hundreds of dollars on those expensive paper ads including all your rental listing information. You now can simply include our Hotline number along with your unique Property Box listing ID, and allow hundreds of callers to obtain information about your rental listings. You can also include links on other web sites and message boards by simply including your Property Box, or a similar link of this format www.rentershotline.ca/2001. You can upload up to 12 digital images on each of your rental listings. You can include 3D panoramas of your rental availability as well! You can link Building Boxes with information about your buildings to each Property Box too. Include information about yourself or your company, along with your company logo, additional information and a link to your web site! You can also track exactly how many leads you've generated from each of your marketing sources. Our unique Marketing Box ID system allows you to link additional property IDs to your listings that you advertise in different media sources so you can track exactly how many leads were generated from that media source.